Welcome to the Sevenars Music Festival! "One of the best small music festivals in the USA"
Thank you all for making our Golden Anniversary special in the Summer of 2018!! Now we look forward to sharing the next 50 with you! Sevenars Concerts, established in 1968, was selected one of the six best small music festivals in the USA by Time Magazine. 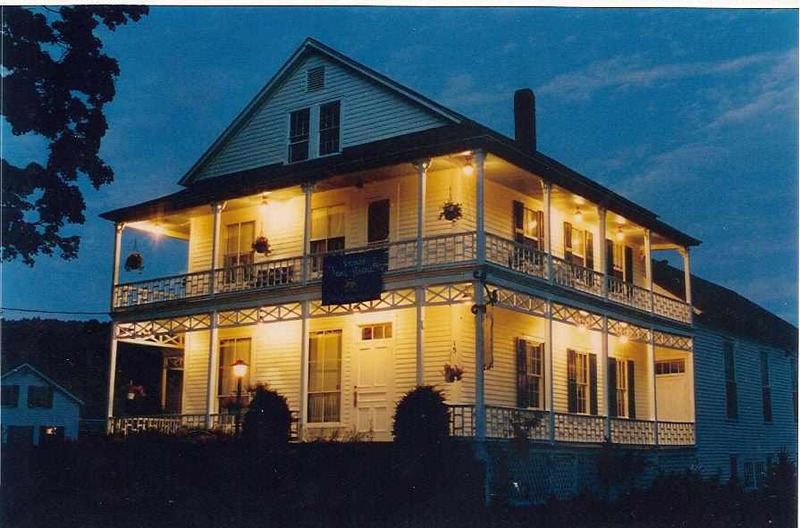 Founded by internationally known pianist Robert and his celebrated composer/songwriter/pianist wife Rolande Young Schrade, it all began with "Family Concerts" starting in 1968 in the small Methodist Church of the idyllic town of South Worthington, Massachusetts, a village now listed on the National Register of Historic Places. Robert and Rolande included in their concerts their five young pianist children, Robelyn, Rhonda Lee, Rolisa, Randolph, and Rorianne (hence the name "Sevenars" as all seven performers had names starting with the letter "R"), and concerts drew growing crowds that spilled out of the church. A larger space was needed! In 1976, the concerts moved across the little street to the historic Academy building, established in 1895 by Russell Conwell, founder of Temple University and author of the famous "Acres of Diamonds" lecture. Sevenars was incorporated as Sevenars Concerts, Inc. and was then able to branch out, becoming an official non-profit organization under IRS Code 509(A)(1), Section 501(c)(3). In the years that followed Sevenars was able to present over 300 guest artists, both world-renowned performers and prizewinning newcomers. Enrichment programs for schoolchildren and arts and crafts exhibits have also been presented, but the concerts were "a natural" - partly due to the in the landmark Academy's miraculous acoustics. In 1978, Robelyn Schrade, already garnering raves following her sold-out New York recitals, married outstanding New Zealand pianist, David James, and the concerts became "Schrade-James family" concerts. All the young musicians started accumulating accolades in New York and elsewhere, and 1980 saw the New York Lincoln Center Debut of this "Remarkable Assemblage of Pianists" (Allen Hughes, New York Times). The Schrade-James daughter, Lynelle James, arrived in 1985 and joined the concerts at age five (appearing in New York with the family's 25th anniversary Lincoln Center concert), and son Christopher arrived in 1990, also joining the concerts at age five (and appearing in the year 2000 at Lincoln Center). Though all family members are kept busy with individual concerts, recording, teaching, conducting, and other pursuits (with Christopher James becoming the family's first dedicated cellist! ), Sevenars is still run by Schrades and Jameses, with love and devotion. Despite the severe blows of losing beloved Robelyn Schrade-James in 2014, and founders Robert and Rolande Schrade in 2015, we are determined to continue the beautiful legacy they created with us all - and with you, our most wonderful and loyal audiences! Sevenars in the evening -- please visit in the Summer, 2019, to see Sevenars in the sunshine! To see just a few comments from the press, click here. This 2019 project is funded in part by the Cultural Councils of Amherst, Blandford, Hinsdale-Peru, Huntington, Montgomery, and Worthington, local agencies which are funded in part by the Massachusetts Cultural Council, a state agency, and the National Endowment for the Arts. Sevenars is deeply grateful for the help of these supportive towns!